Jordan Ayew gets the accolades. 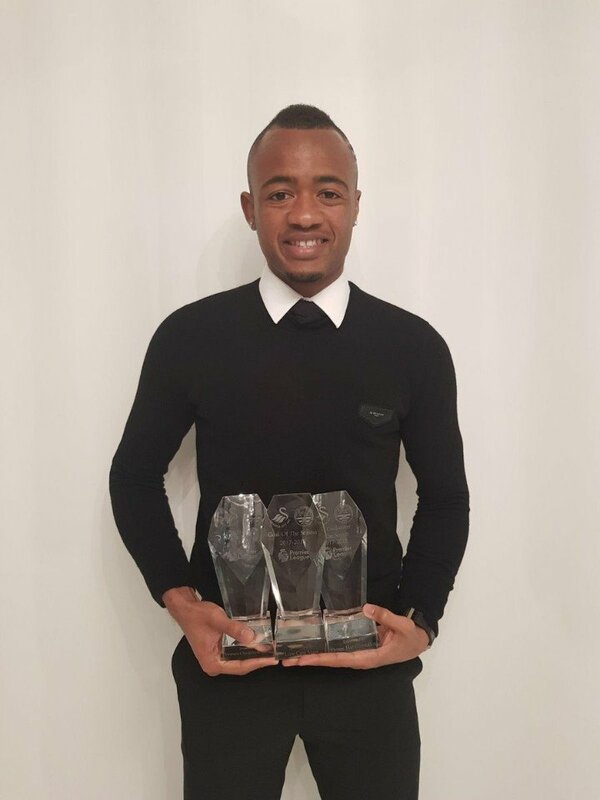 Black Stars forward, Jordan Ayew got awards at the end of the season. Furthermore, he swept away all competition at the 2017/2018 Swansea City end of season awards. Moreover, at the event, Jordan stood tall amongst his compatriots. He picked up three awards on the night, including the most coveted Player’s Player of the Year Award. Furthermore, his own teammates voted for him for the best player of the season. Also, he won the top scorer award as well as the best goal of the season. Jordan joined Swansea from Aston Villa and has gone on to become a fan favourite, scoring 11 goals to aid the club’s desperate relegation battle. His brother, Andre, also plays for Swansea but failed to pick up any award.